As a nonprofit, TreesCharlotte relies on donations from community members to expand and protect Charlotte’s tree canopy. Become a TreesCharlotte member and help us achieve our goal to grow Charlotte’s tree canopy. Membership levels start at $50 and cover you through the 2018 calendar year. 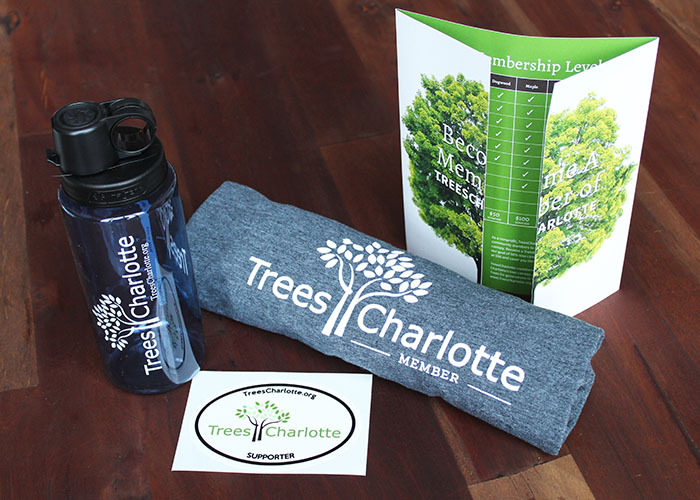 Depending on your membership level, you’ll receive TreesCharlotte items like t-shirts and water bottles, invitations to special events and exclusive volunteer opportunities, and recognition in our printed newsletter, The Leaflet. Beyond that, you’ll play a crucial role in growing Charlotte’s tree canopy, ensuring that it remains The City of Trees for generations to come. Please fill out the electronic form below, of if you prefer, you can print this form and mail with your payment to: 701 Tuckaseegee Road, Charlotte, NC 28208. Checks can be made out to TreesCharlotte.